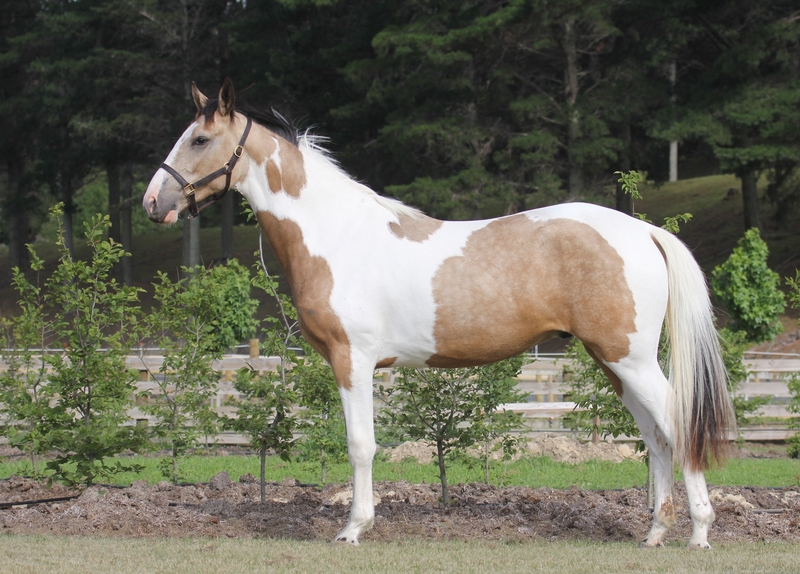 *SOLD* - Snugly VWNZ (Snugly) is a stunning 2yo Buckskin and White pinto gelding. He will mature at around 16.1hh. 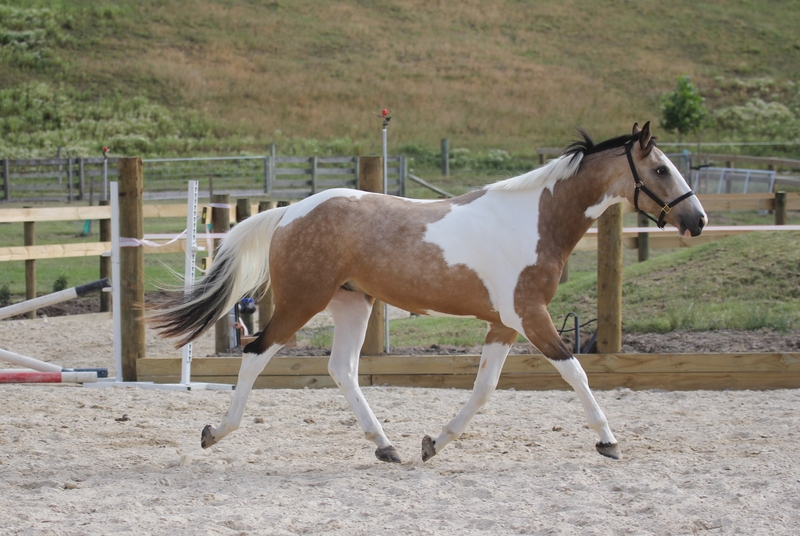 Snugly is sired by Showtym Highlight, the stunning competitive Grand Prix pony. Snugly has been a delight since he was born. He is full of personality, is confident and has a brain that thinks. 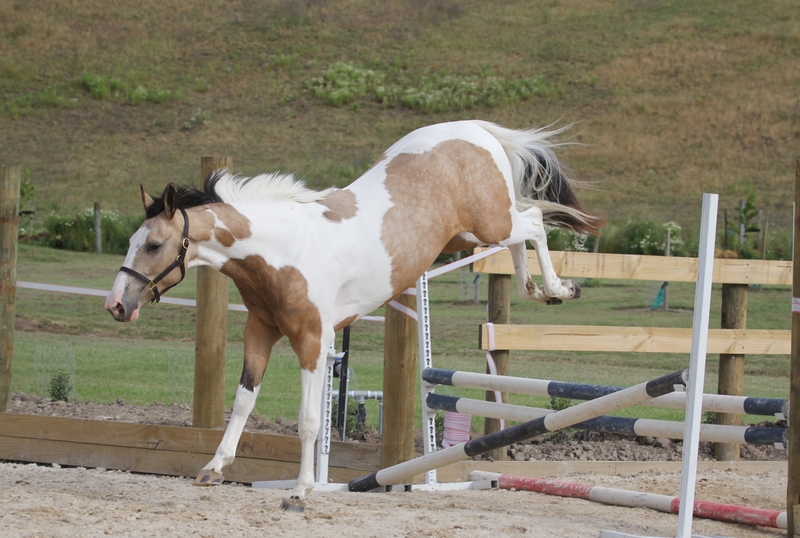 Snugly is a lovely strong mover, and naturally balanced. 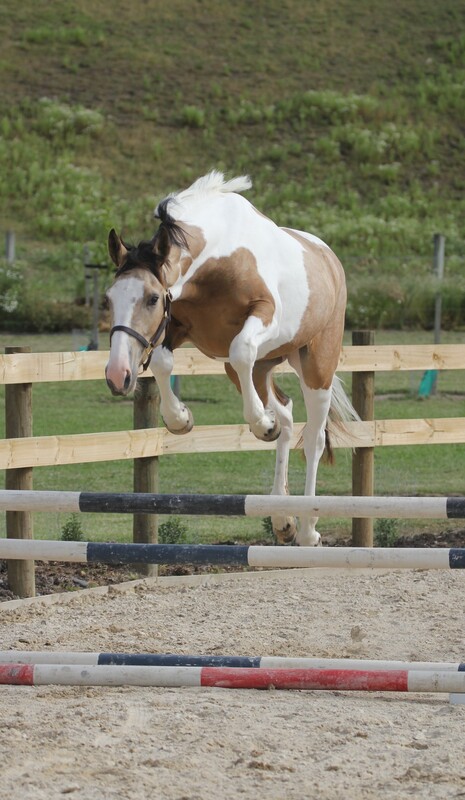 He is showing a scopey relaxed jump. He is good to handle, trim, stable, float/truck, cover and wash. Snugly has been well produced with good ground control, lunging, obstacle training and free jump training. He is good to paddock alone or with others. 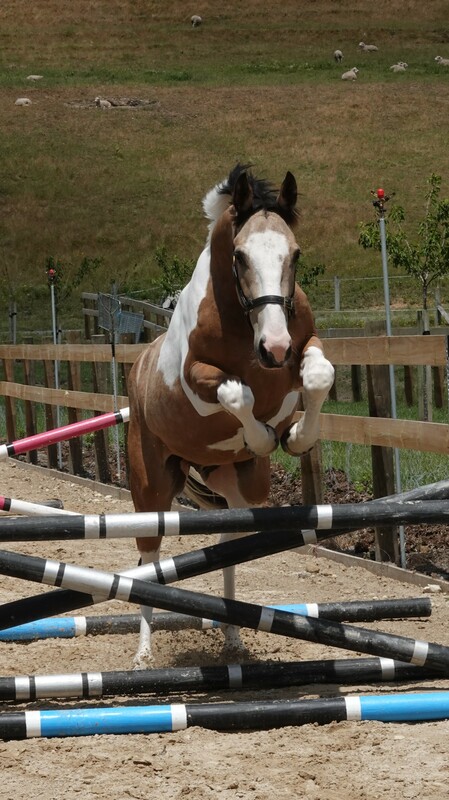 Snugly would suit a rider who wants a spectacular young horse to produce for the future in any discipline.